Three, the mobile network, has partnered with Time Out London to offer readers a chance to binge-watch Netflix shows while cruising along the Thames. 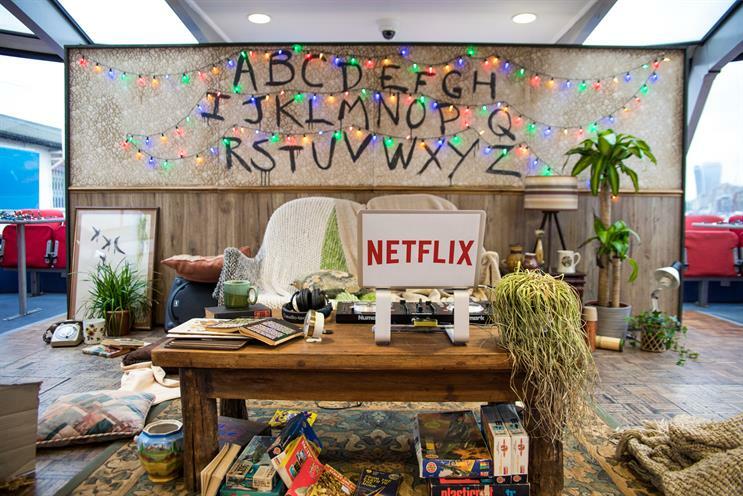 Competition winners can watch Stranger Things and Narcos as part of an experience that includes actors in character to provide the entertainment. The "Streamliner go binge" campaign is a takeover of Time Out’s "Movies on the river" open-air cinema. It is part of Three’s "Go binge" initiative for which the brand has partnered with Netflix, TVPlayer, Deezer and SoundCloud to offer customers free streaming of shows and music without using up their mobile data. The campaign was developed by Time Out’s creative solutions team in collaboration with Mindshare UK. The deal will also include a six-week multi-platform ad campaign for Three. Jolene Sickelmore, head of marketing communications at Three, said: "We are always looking for different ways to engage with consumers and we love the approach Time Out has taken to support the ‘Go binge’ campaign. "It’s immersive and fun from start to finish and underlines what the campaign is about by demonstrating how you can stream your favourite content wherever and whenever you wish."